Welcome Nicole, to the Yoga District Blog. She is our new resident foodie and will be supplying delicious healthy recipes for all of us to enjoy! 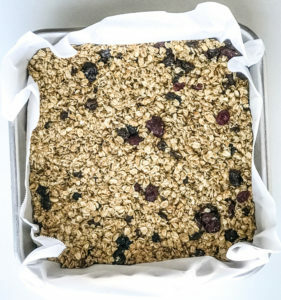 This month she shares tasty Overnight Oat Bars, which are a cinch to make wholesome alternative to that boring bowl of cereal. 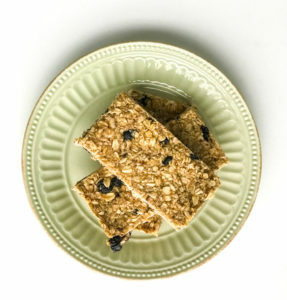 Looking for an easy on-the-go breakfast bar that is healthy, simple, gluten-free, and the perfect balance of sweetness? Look no further – dreams are made of these bars. And just like all of my overnight oats recipes these require no baking! You can prepare it the night before and wake up to bars for your busy morning. There are three types of oats: steel cut, instant, and rolled. I’ve broken down the difference of each, for this recipe I recommend rolled oats. Steel Cut Oats: are not processed at all, this makes them the most authentic in texture and taste. However, they usually require cooking to make them the most delicious. These oats are too textured to be suitable for these no-bake breakfast bars. Instant Oats: are the exact opposite of steel cut oats. They are the most processed and purposely created for fast cooking. They are thin and have less texture. 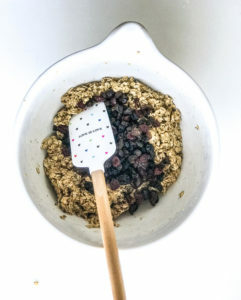 You can substitute rolled oats with instant oats but you will lose a little of that chewy bite. 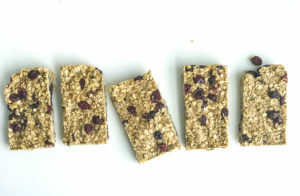 Rolled Oats: are ideal for these bars! If you were Goldilocks, this would be your bowl of perfect porridge. In texture, they are between steel cut and instant oats. With being thinner than steel cut oats yet they still hold their texture and shape. Granola: There are so many types of granola out in the world, for this recipe I like to use a hint of sweetness, so I buy vanilla granola. One Degree Sprouted Oat Vanilla is my favorite brand (not an ad). Although, anything will do including making your own granola. 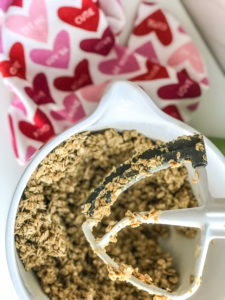 Powdered Peanut Butter: I’ll admit I jumped on this bandwagon late, powdered PB is really good to mix into things like yogurt, smoothies or these overnight oat bars. PB is a great source of protein and could help you feel energized. Powdered PB does all of the same but is lower in fat calories, so people have started using it because it’s diet friendly. Check it out. This ingredient is optional for making the oat bars. Mix together all of the ingredients and your add-ins except the dried fruit, that will need to added in by hand at the end. You can do this with a KitchenAid mixer with the paddle attachment or by hand with a spatula. If you’re adding dried fruit, stir it in. Using your hands, press bars into the 8×8 pan. Cover and place in the refrigerator for at least 8 hours to have it set. Check out other recipes on Yoga District Blog.